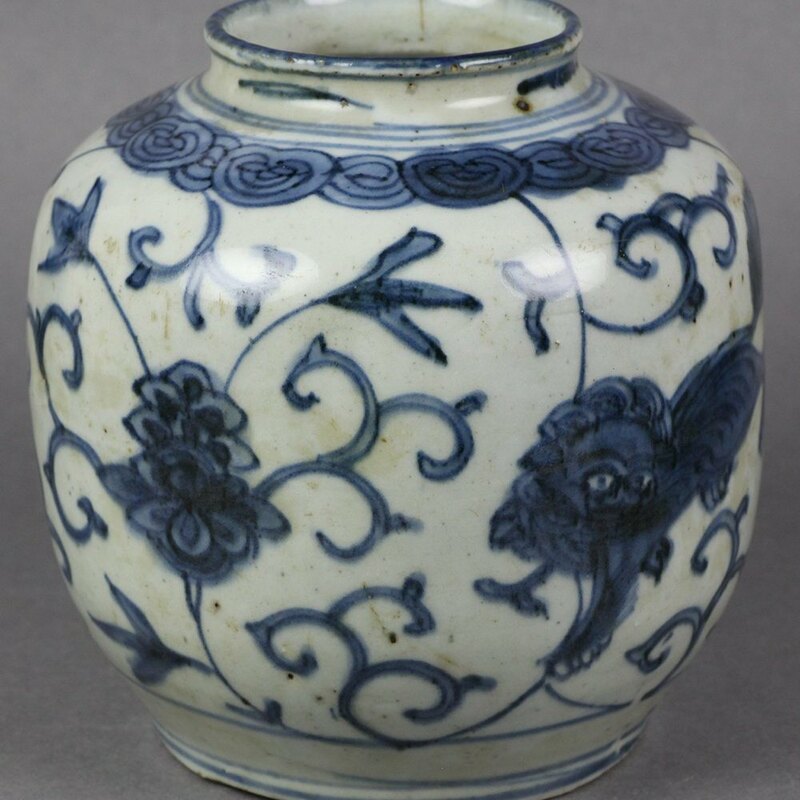 From a small collection of Ming wares we offer this superb antique Chinese porcelain jar decorated in underglaze blue with temple lions dating from the Ming Dynasty. 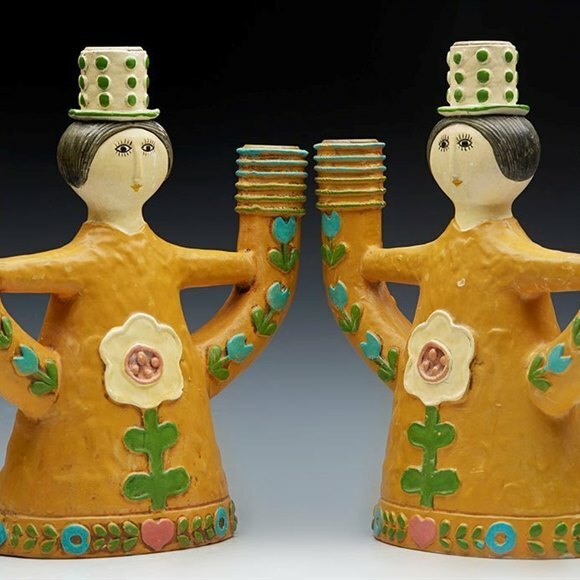 The rounded bulbous jar stands on an unglazed rounded feet and are decorated in underglaze blue with two prancing temple lions set amidst floral and scroll work designs. A decorative border is painted around the shoulder with simple lines around the foot and the short raised narrow neck. The jar has some kiln debris attached around the foot and is not marked.